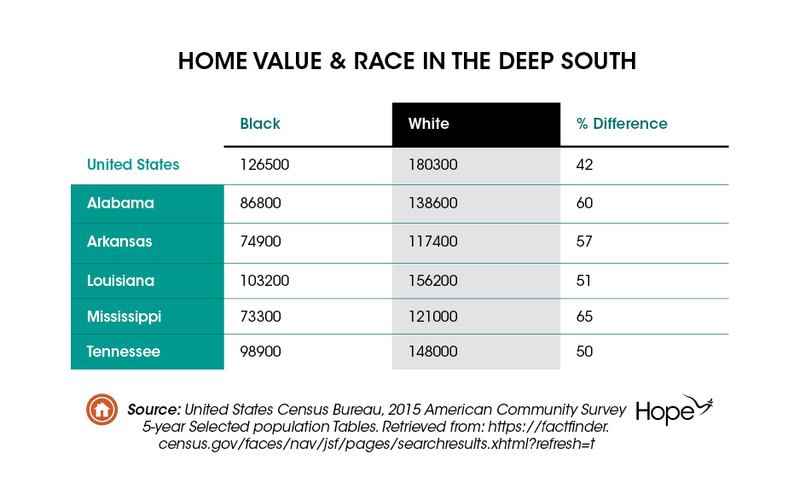 In the Deep South, as in the rest of the nation, there are persistent racial disparities in levels of homeownership. Moreover, these disparities have increased in the past several decades. In HOPE’s service area, the gap between black and white homeownership grew, on average, by 16 percent between 1970 and 2015. In Arkansas, this gap grew by a staggering 46 percent. 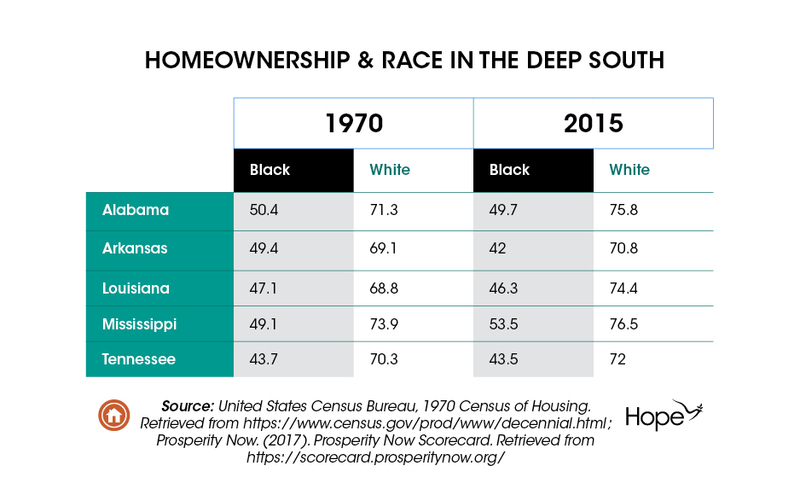 This gap has grown not only because white homeownership has increased in every state in the area since 1970, but also because black homeownership has decreased in every state in the area, excluding Mississippi. See Chart. Barriers to homeownership for African Americans in the Deep South are structural and have intensified in the wake of the Great Recession. There is a long history of discriminatory practices, including redlining and restrictive covenants, that have built a sturdy foundation for continued racial inequality in homeownership. Moreover, these practices continue to impact modern African American families. 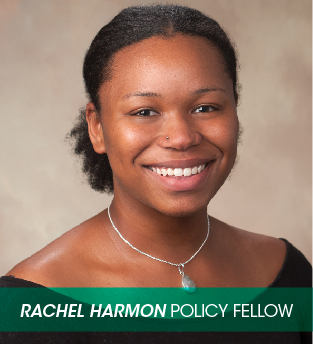 These barriers not only inhibit the ability of black households to obtain the most significant wealth-producing asset for American households but compromise their ability to experience the financial benefits of homeownership. One area where this is clear is in median home values. In the United States, the home value of white households is, on average, 42 percent higher than the home value of black households. Each state in HOPE’s service area has a racial disparity in home value that exceeds the national average. In Mississippi, the disparity is 65 percent. See Chart. These racial disparities in home value have significant implications for the ability of African American households to accumulate wealth, given the impact that home value has on the amount families are able to borrow against their home. Second mortgages are low-interest loans that can be used to provide funds during times of financial difficulty or to fund significant investments, such as home improvements, purchasing a car, or even education. Moreover, racial disparities in home value have intergenerational ramifications as they limit the amount of wealth that African American parents are able to pass on to future generations through their homes.